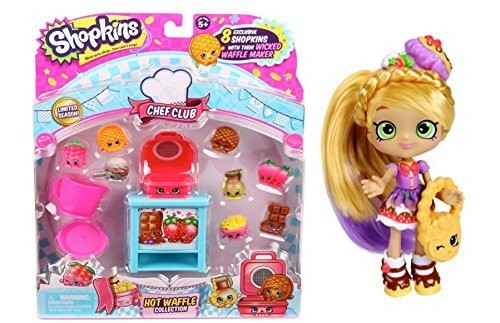 Shopkins Hot Waffle Collection Theme Pack + Pam Cake Shoppie! Pam Cake + Chef Club Hot Waffle Collection! Pam Cake is the newest Shoppie on the block! 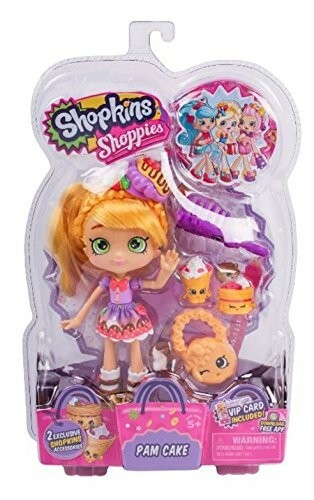 She comes ready to go with two EXCLUSIVE Shopkins, her own brush, and purse!! 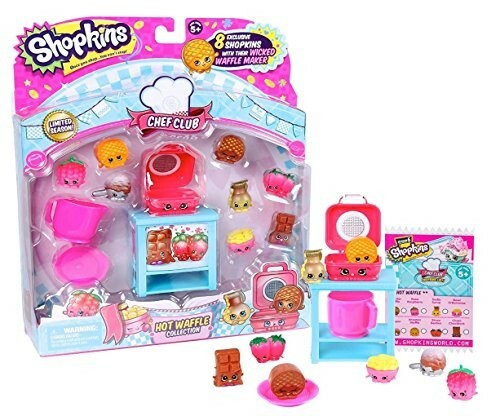 Hot Waffle collection includes 8 yummy Shopkins, a large Waffle Maker and 2 small accessories make this collection one to waffle on about! Once you shop, you can't stop!!! Get online for exclusive VIP benefits! This product is listed on amazon using an ASIN of #B01MQF7DJQ	. Product prices and availability are accurate as of April 10, 2019 and are subject to change. Any price and availability information displayed on Amazon at the time of purchase will apply to the purchase of this product. Certain content that appears above comes from Amazon Services LLC. This Content is provided 'AS IS' and is subject to change or removal at any time.